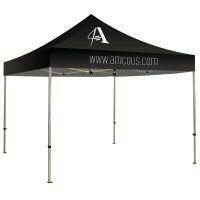 Canopy Tents are a great way to provide shelter at outdoor trade shows and events while adding a place to brand and market your business. 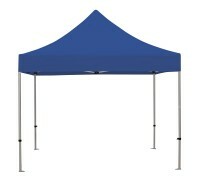 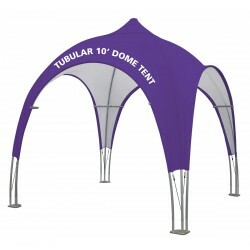 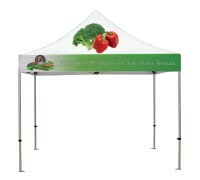 Making a recognizable canopy tent display is great way to help customers find you, and recognize you again in the future when they want to return to your tent. 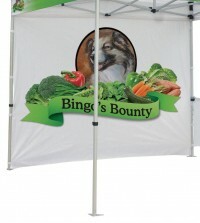 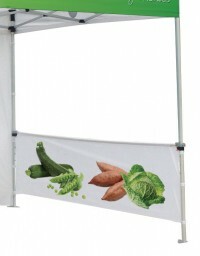 They are popular at all kinds of outdoor trade shows, concerts, festivals, farmer's markets, or other venues and are even used indoors at trade shows because they make such eye-catching and easily recognizable displays.. 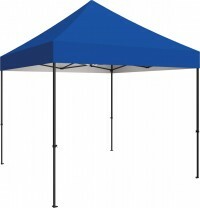 Some models are available with solid color canopies that can be used as is, but their real value comes when you customize them with text and logos, or even order a fully custom printed version for maximum impact.